It's hard to feel well when you can't breathe well. It goes without saying that respiratory conditions have a negative impact on breathing. Incidences of Asthma, Chronic Obstructive Pulmonary Disease and Pulmonary Fibrosis are on the rise. Managing these conditions should include more than just medication. Research supports education and learning efficient breathing patterns are key to effective disease management. 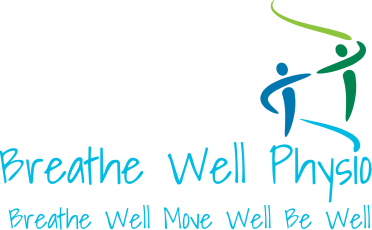 At Breathe Well Physio, we like to "think outside the lung and focus on what else might be happening with your body. With the BradCliff Method® of breathing retraining, we will teach you how to: breathe efficiently, clear sputum/mucus effectively, manage your energy levels, employ rescue breathing techniques, and optimize breathing during activity. In addition we will address any muscle/posture issues and help you understand your disease symptoms and triggers. You will feel more empowered in managing your condition. We are now also able to offer appointments with a Certified Respiratory Education, with whom you can review medications and how to take them, lifestyle and behaviour changes and smoking cessation. Our Respiratory Therapist is also trained in the BradCliff Method and can offer specialized assessments of breathlessness. We are also very pleased to be authorized POWERbreathe dealers. POWERbreathe is an inspiratory muscle trainer designed to strengthen your breathing muscles and reduce feelings of breathlessness. For more information on the benefits of POWERbreathe on respiratory conditions click here.